Singapore is a rich and classy tourist destination in South East Asia. Most of the time the weather here is pleasantly warm. A great way to enjoy this weather especially during the evening, is by chilling at one of its many rooftop restaurants enjoying the towering skyline view. There is no place like a rooftop restaurant to enjoy the city view, drink great cocktails, have ample of food and listen to some good music. 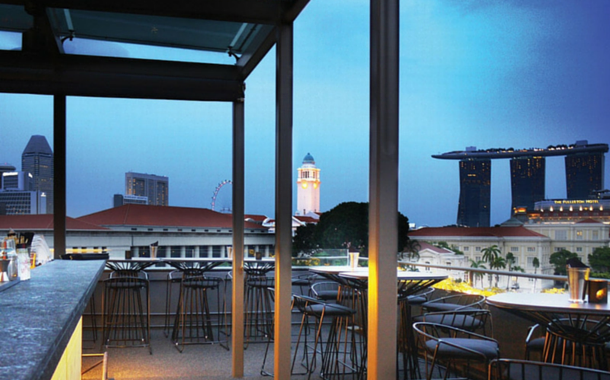 As Singapore has a huge number of towering buildings, there are plenty of rooftop restaurants around the town and we’ve rounded up five of the best ones with great views. Getting a Singapore visa now being easy, you're just a flight ticket away from these amazing restaurants. This is the city’s tallest rooftop restaurant which stands at 282 meters above sea level. The venue features a wide range of cuisines from south-east Asian to continental to Indian. It has a huge list of drinks, including signature cocktails and some really unique bar snacks. It transforms into a hip party place during the weekends and also attracts a huge crowd on Wednesday and Thursday nights. It offers one of the best sunset views from the city. This is a rooftop restaurant perched above Chinatown and is really popular among expatriates and professionals who want light bites. True to its name, one can always enjoy a mild breeze with grills, seafood platters, and cocktails on the side. It also offers a romantic and dreamy vibe, making it a good option for that special night with your significant other. 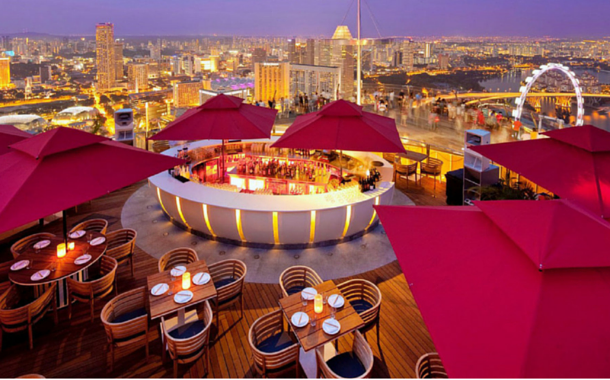 This rooftop restaurant stands atop Singapore’s iconic Marina Bay Sands hotel and casino. It offers spectacular panoramic views from 200 meters height. It is a must visit for locals and visitors alike, as it offers glamorous dining and a sophisticated nightlife experience. 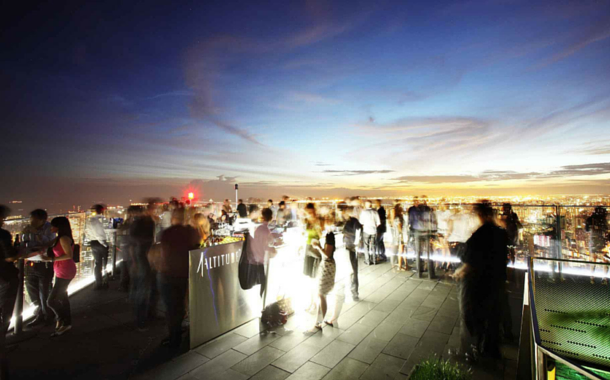 This rooftop SkyBar Restaurant and Club Lounge offers a variety of unique and classic cocktails and has a wide range of options on its food menu. This craft microbrewery and restaurant offers a remarkable combination of craft beers with sophisticated dining and panoramic views to its patrons. It is located in the Marina Bay Financial District. It has a contemporary European cuisine and dining menu, specially designed to pair with their classic European beer recipes crafted under the direction of a full-time German-trained brewmaster. 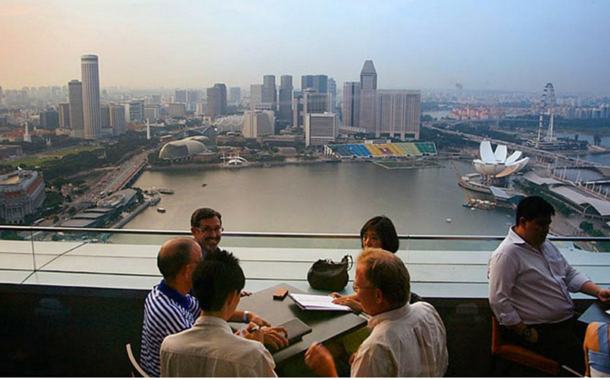 The spacious balcony offers an unobstructed view across the Marina Bay precinct and the CBD Skyline. 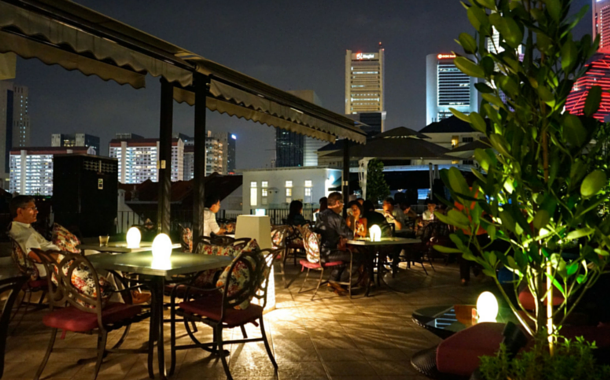 This is a newcomer in the many rooftop restaurants and bars which are the key highlights of Singapore’s nightlife. It is located at the Boat Quay precinct and stands atop a repurposed heritage shophouse. It boasts of stylish minimalistic décor and has a moody ambience. With a completely open-air rooftop space, it offers a 360-degree panoramic view which includes many of the city’s iconic landmarks. This venue takes culinary and cocktail offerings seriously. It has seafood centric bar dining menu specializing in oysters. The dining experience at Southbridge is unlike any other rooftop restaurants and bars throughout the city. Sounds interesting right? So book now with our Singapore Tour Packages and Go Ghoomne!